PIN - SARAH COVENTRY. 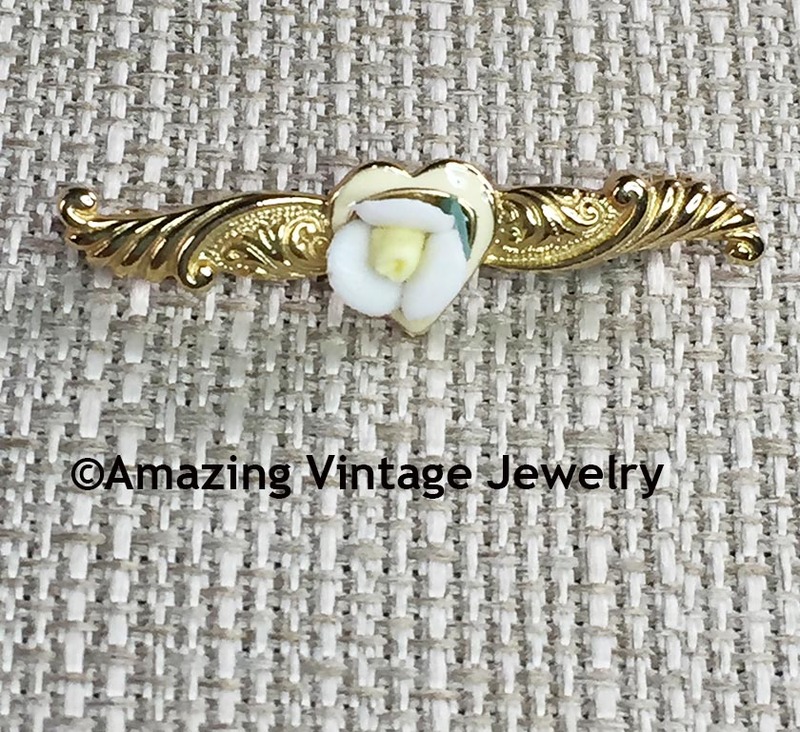 "PRIMROSE" BAR PIN FROM 1983. 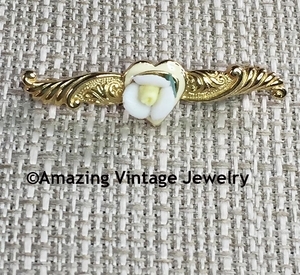 DAINTY GOLDTONE SCROLL WITH A WHITE & YELLOW FLOWER OVER A CREAM ENAMEL HEART. PIN IS 1 11/16" LONG, 1/2" WIDE AT THE CENTER. VERY GOOD CONDITION.